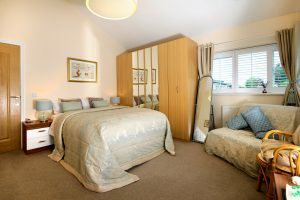 This large double room is at level entry and on the same floor of the Kitchen/Breakfast room and therefore is ideally suited to less mobile guests. 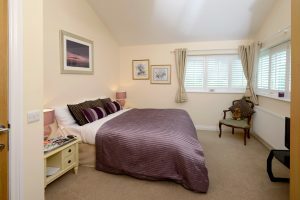 This spacious room has one double bed and two single beds, ideal for family occupancy. 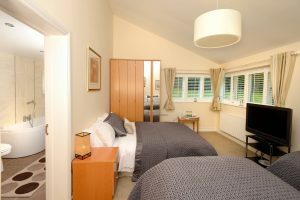 This large double room has views over the Liddel Water, with good wardrobe space, TV, and occasional chair. Beautiful home, lovely people. 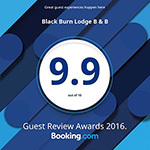 B & B's don't get better than this.